(Seychelles News Agency) - Seychelles’ third-most populated island, La Digue, has a new fish market funded by the European Union (EU), the EU said in a communiqué. 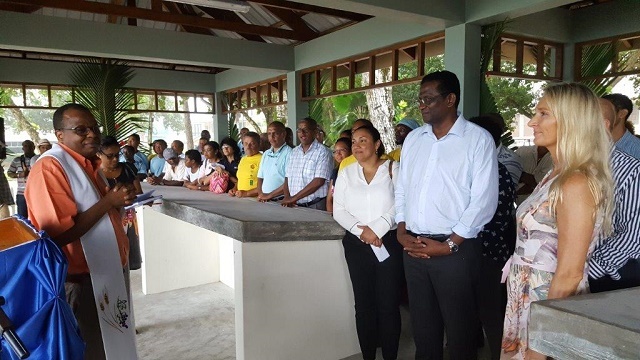 The La Digue fish market has been developed as part of the sectoral support which aims at developing Seychelles’ fisheries on the basis of priorities identified by the Seychelles Fisheries Authority (SFA). The fisheries industry is the second top contributor to the economy of Seychelles, an archipelago in the western Indian Ocean. The EU ambassador said that the opening of the market shows that the EU-Seychelles protocol on sustainable fisheries benefits directly the local economy and the population of La Digue. The new market will be managed by the island’s fishermen community. “The Fisheries Protocol together with the Economic Partnership Agreement with the EU generates important economic benefits for Seychelles. All in one, these two complementary agreements have made Seychelles the second exporter of canned tuna to the EU market. This is a remarkable achievement that contributes to the economic growth and prosperity of Seychelles,” she added. The construction of the market is one of the activities funded in the framework of the current fisheries protocol, signed between the government of Seychelles and the EU for 2014-2019. The objective of the protocol is to promote artisanal fisheries infrastructure and development, ultimately supporting the sustainability of all the Seychelles' fisheries, including the regional tuna fisheries. The project started in early 2017 at a total cost of $201,000 and is expected to benefit 60 fishermen on the island. 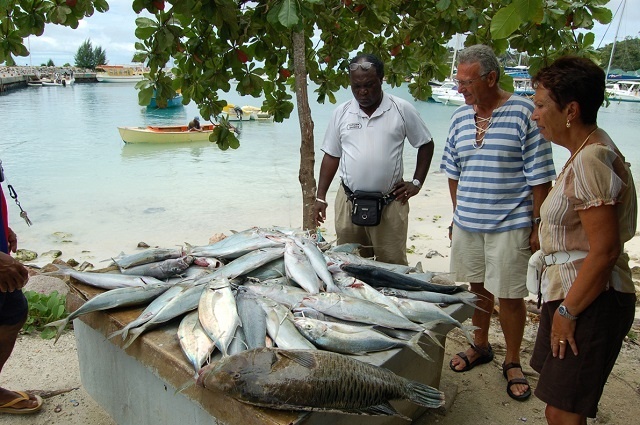 Payet had said that the fishermen on La Digue who practise mainly artisanal fishing using fish traps and lines are never lacking in sales opportunities for their products due to high demand in the tourism industry. Under the Protocol, the EU provides a total financial contribution of 30 million euros including access fees for EU fishing vessels operating in the Seychelles waters and support to the Seychelles sectoral fisheries policy. The EU-Seychelles sustainable fisheries partnership agreement is a longstanding cooperation agreement between Seychelles and the EU enabling EU vessels to fish in the waters under the jurisdiction of Seychelles. Vessels authorised to fish under the current protocol unload their catches in Port Victoria and supply tuna, which is processed not only in the Seychelles but in also Mauritius and in Madagascar.